Yderligere oplysninger History: Born is one of TOP 5 breeding stables in Latvia, as a 3 years old bought from there as unbroken. 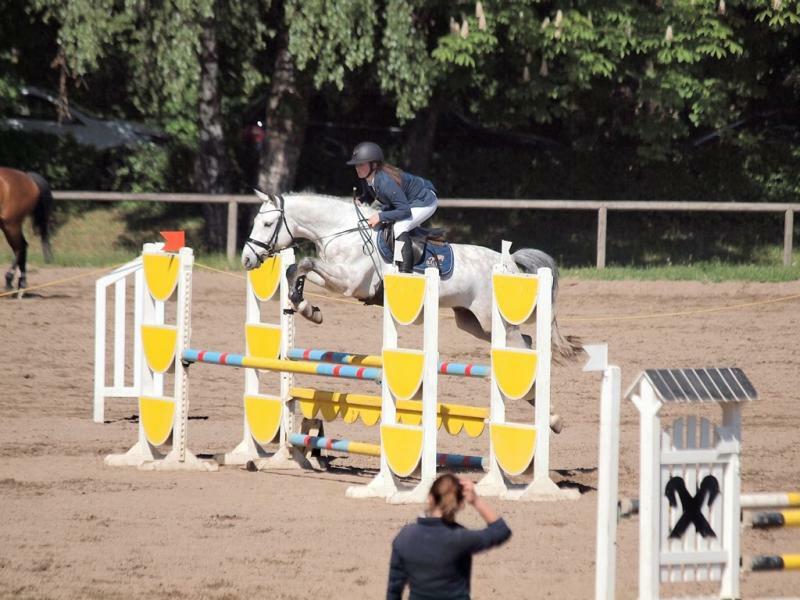 Has been under professional showjumping riders sight. Schooled according to his age and now is going by young horse classes and rules. Character: he is calm, peaceful, with a little sparkle in him which gives a really good character to handle for younger riders, super easy in daly work. Brave and not spooky. Rider: The best he will suit riders who want the next small round sport horse. Also is good for those who are jumping 110cm and want to grow with the horse to higher courses. Examination: X rays are made and can be sent upon prior request. In a serious interest, the vet check can be done! We have more horses to offer if you are interested and searching for the next partner in crime.